Does your dog’s behavior prevent you from enjoying him to the fullest? Would you like to walk him on the Esplanade without being embarrassed at his barking or worried that he might lunge? Are you reluctant to have guests over due to your dog’s jumping or aggression? Do you want your puppy to toilet where he’s supposed to and refrain from jumping up and nipping your children? Bark Busters can help. 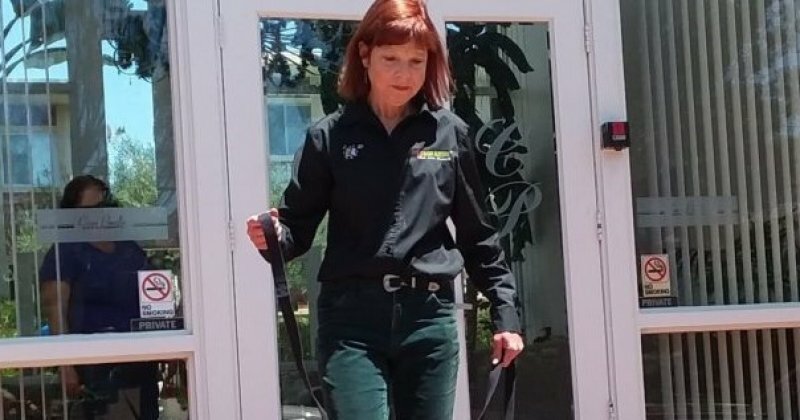 I’m Sue Doyle, your Bark Busters trainer for the South Bay. I’ve trained hundreds of dogs with problems just like yours. I achieve results without using harsh methods and without using treats. I’ll teach you how to speak the language of your dog, using body language and vocal tones, and behaving like the strong pack leader he is seeking. The training is conducted at your home and in your neighborhood because that’s where most of the problems occur. That’s also the place at which your dog can focus best. When he’s ready, we’ll also meet at spots you’d like to take him, such as Wilson, Valley or Hesse Parks, the Esplanade and outdoor coffee shops. I know the frustration and helpless feeling of having an ill-behaved dog. After completing three obedience classes with my dog Kieran, he was still an ill-behaved one. He barked at every dog that walked by the house, pulled excessively on leash and was seriously bullying my elderly, arthritic dog. I finally hired Bark Busters, and learned what I had been missing. A year later I had the opportunity to purchase the franchise here in the South Bay. Misbehaving dogs aren't "bad dogs." They are acting out of instinct, based on what we (usually inadvertently) are telling them with our physical and verbal cues. Strong leadership and a relationship based on respect and trust eliminate the reasons for the unwanted behavior. 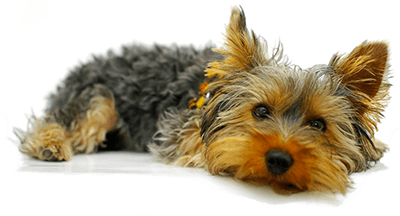 Your dog can achieve his best if you understand his needs and motivations, and if you communicate clearly with him. Let's get started! Amazing!! Saw results by the end of our first session. Not only great hands on training but excellent information about dogs and their way of thinking. Sue put our hearts at ease and my family and I learned a lot. We are extremely hopeful that this training will transform our fearful little malti-poo. Thanks Sue and Barkbusters!